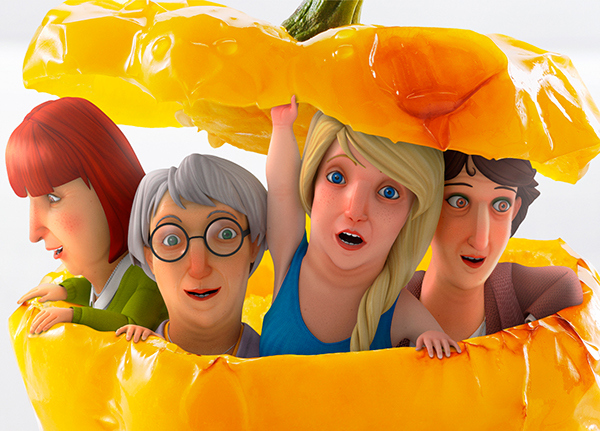 Leo Burnett via Photoby approached Finger Industries to design and build a series of characters for 3 motifs to be used in a print campaign for the magazine Saisonküche. 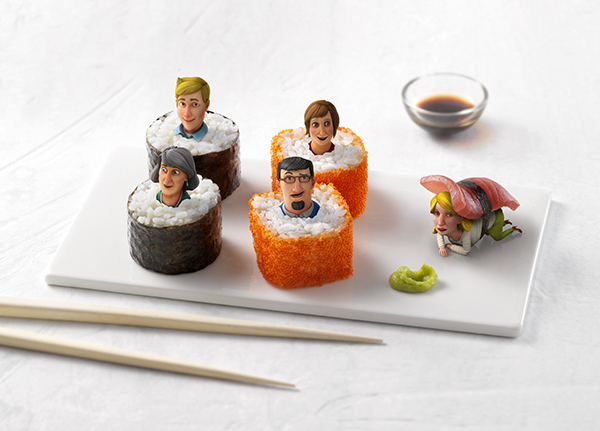 The agency would supply the photographs and Finger Industries would design, create and composite the 3d characters into the photographs. 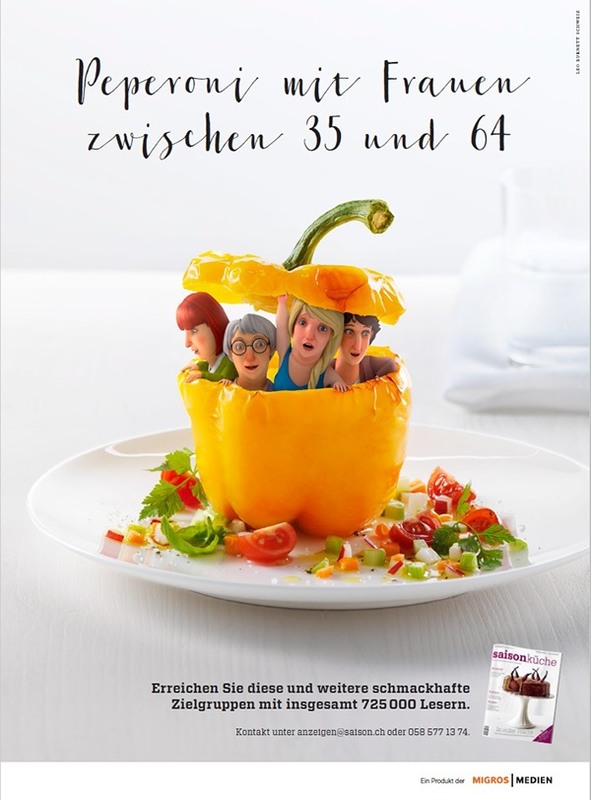 This is a good example of a project with multiple creative partners and a complex brief that required flexibility, dedication and clear communication with multiple creative partners across Europe. 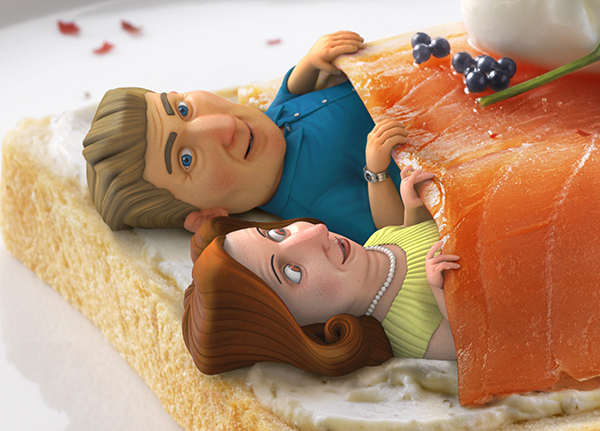 We hope this campaign demonstrates the studio’s character design, CG skills and compositing capabilities. Do let us know what you think! 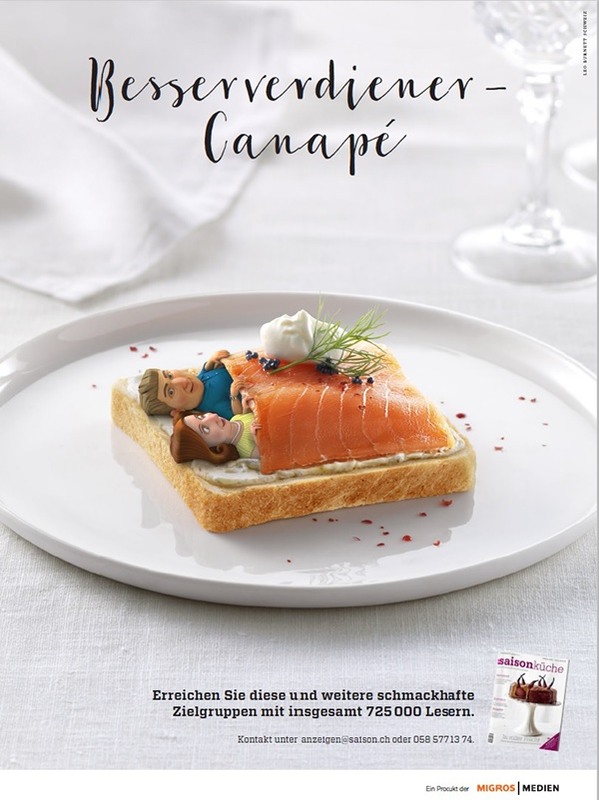 The final advert for Canape. 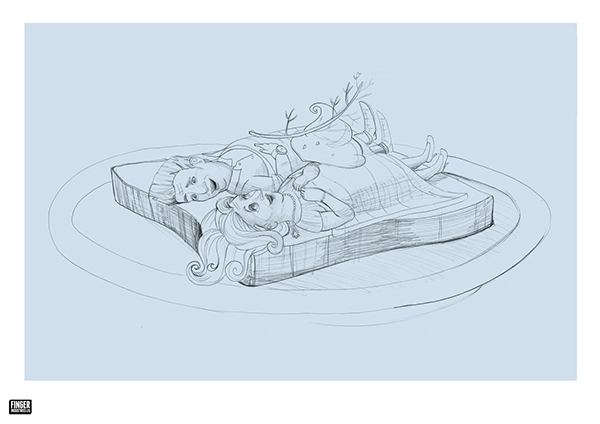 The concept was to create characters that would not be treated as decoration but seen more as if they were ingredients in the dish. 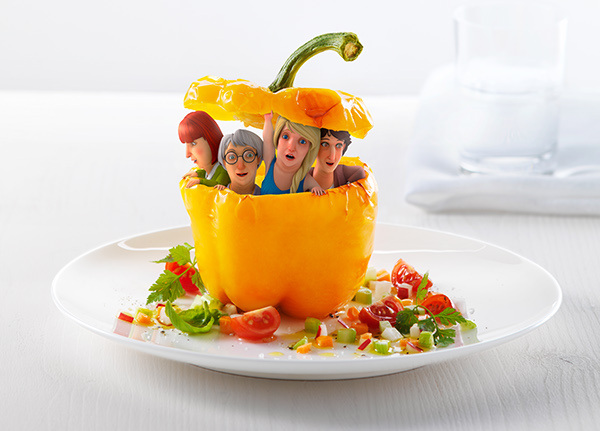 Technically this meant the characters would be physically inside the food and so consulting and collaborating with the photographer on the HDR light set ups and relative positioning of the models to food was key. 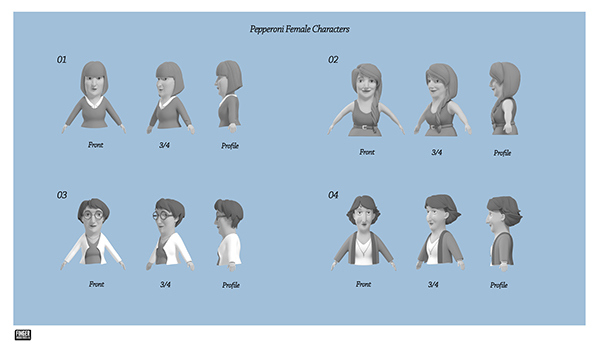 Leo Burnett and Saisonküche particularly liked the initial character designs that Finger Industries had created and so the studio ensured that the overall look and feel of the 2D designs was retained when building in 3D. Hair was an important factor to consider and informed the overall look of the models; no one likes the idea of hair in food(!) 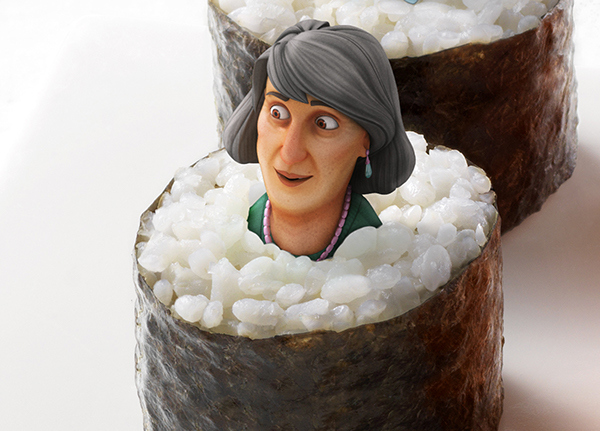 so we had to consider this in the design, build and texture of the characters. Thanks to Photographer Pia Grimbühler for working with us on the HDR lighting set up, to the accounts team at Leo Burnett Erasmo Palomba, Vanessa Mermound & David Fischer for their continued support and enthusiasm for the campaign, to the client Saison Kuche and to Tomek and the team at Photoby for showcasing our work in Europe. 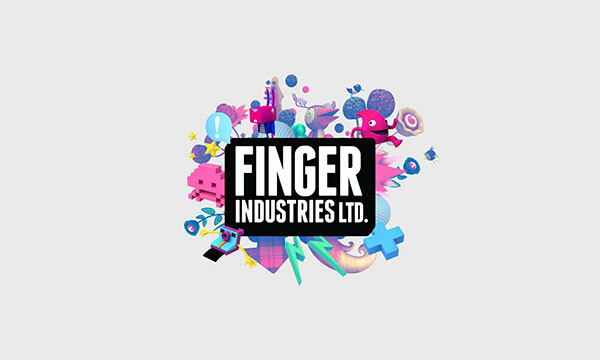 Follow us on Twitter @Fingerindust or 'Like' us on Facebook here. 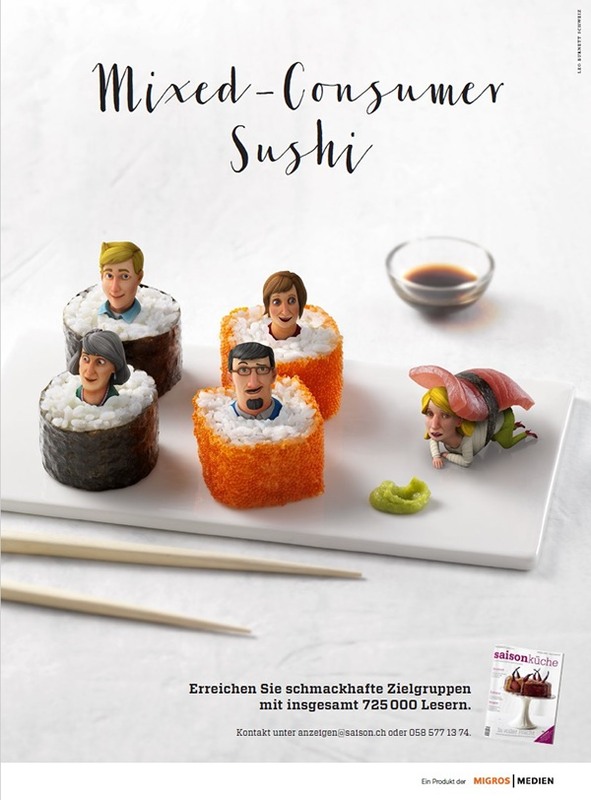 Leo Burnett via Photoby approached Finger Industries to design and build a series of characters for 3 motifs to be used in a print campaign for the magazine Saisonküche. The agency would supply the photographs and Finger Industries would design, create and composite the characters into the scenes.